Chairman Dad outsmarts both his sons and puts them in their places with his stockholders’ vote maneuver, reminding them that he’s the one pulling the strings. Dance, monkeys, dance. 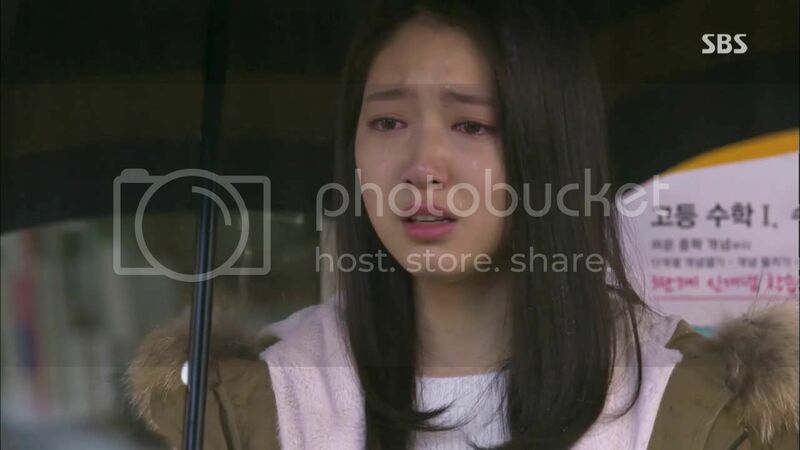 While Won chafes to discover he was toyed with, Tan has bigger heartbreak waiting for him at his love nest, which is empty—Eun-sang is gone, just like Dad said. He staggers home in a daze, while the song helpfully blares, “You’re crying again, you’re crying again, powerless, you send her away.” This is perhaps the most on-the-nose soundtrack ever. 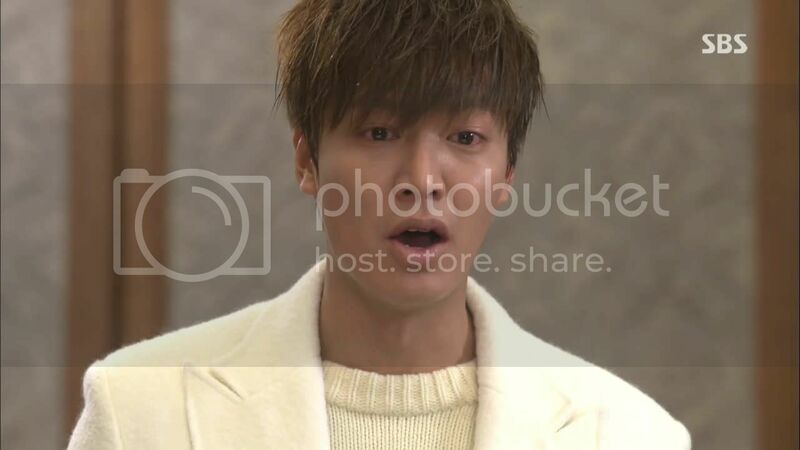 He returns home and asks his father what he’s done with Eun-sang. Dad gives him the classic abuser line—This is all your fault, you made me do this—and warns him not to go looking for her, because he’ll really ruin her life then. 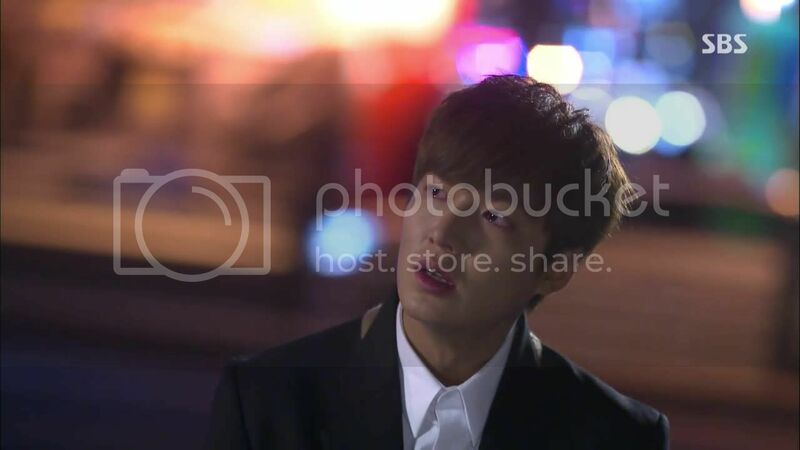 Chan-young worries about Eun-sang and asks whether his father knows anything. As it happens, Manager Yoon was tasked with facilitating her exile, though he can’t share much with his son. 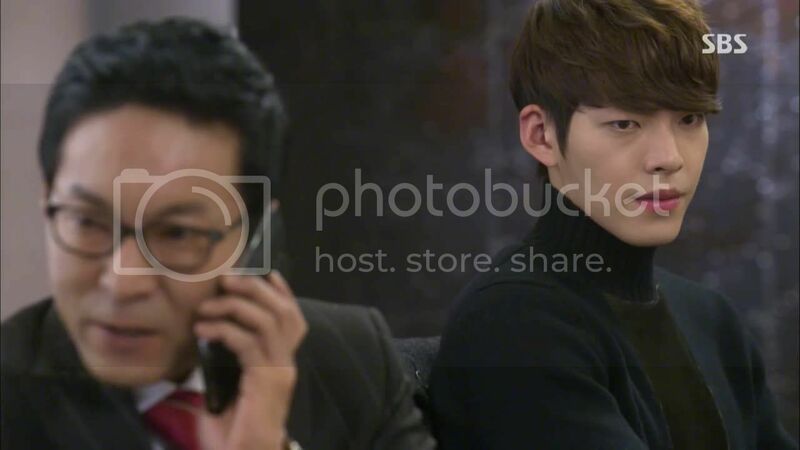 He just says that Eun-sang will call once she’s settled and that Chan-young can hear from her directly what happened. Chairman Dad arranges for Eun-sang to be withdrawn from school, but none of the kids know that and wonder at her empty seat the next morning. Bo-na worries that Eun-sang hasn’t replied to her chat message, but balks about calling directly “because calling makes it seem like we’re friends.” Then she shoots a glare in Rachel’s direction and mutters, “Is she being harassed someplace where I don’t know?” Aw, there you go unconsciously playing Eun-sang’s protector again. Bo-na is a delightful ball of contradictory statements, and I love that about her. Tan storms in and beelines for Chan-young to ask if he’s heard anything. 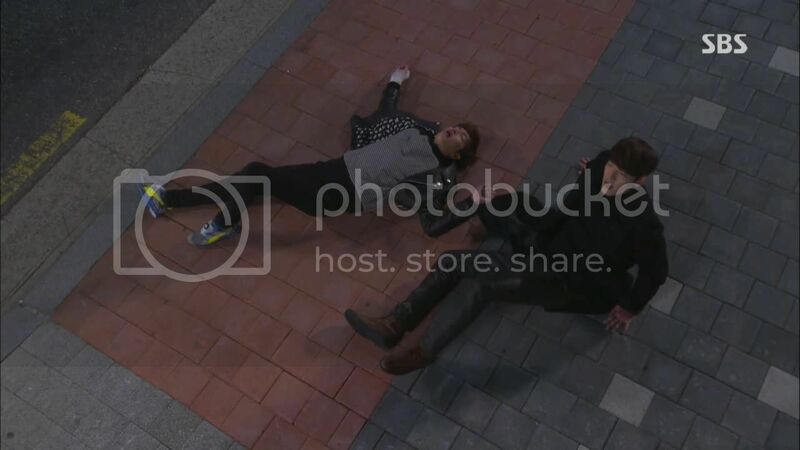 Chan-young blames Tan for being the source of Eun-sang’s troubles, and then Young-do storms into class and beelines for Chan-young too. I don’t blame Chan-young for being annoyed with these two for causing trouble and then looking to him for help, and he leaves them to their frustration. 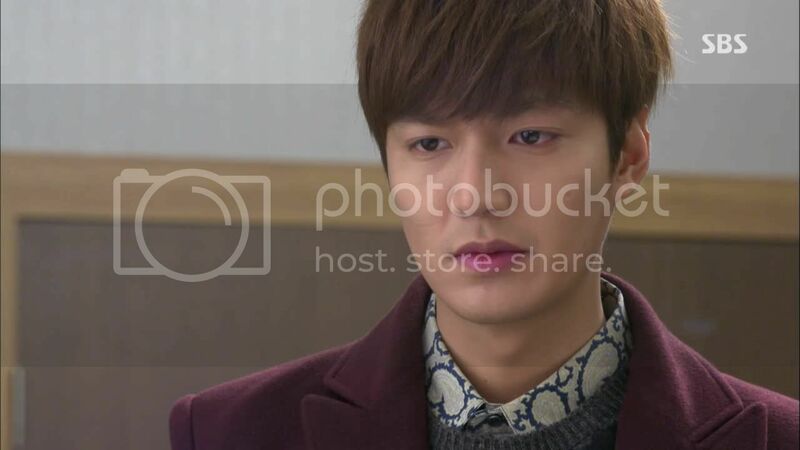 Determined to track her down, Tan asks Madam Jung to refrain from withdrawing Eun-sang from school. Young-do heads off on his own search, starting with the broadcasting club’s member records. Hyo-shin wonders at all the fuss, but agrees to help when Tan asks for help searching the flight records for departures abroad. The Jeguk moms have a meeting, and Rachel’s mother receives barbed congratulations for her upcoming wedding—one mom drops the stinger that her fiancé’s Zeus Hotel is facing investigation. Hyo-shin’s mother (the prosecutor’s wife) says she knows nothing about this, but her smirk indicates that she’s lying. Chan-young’s father gets promoted to vice president per his agreement with Won, so I guess we’ll call him VP Yoon now. Now he’s picked a side, and Won teasingly warns him not to two-time with his loyalties. They shake on it. 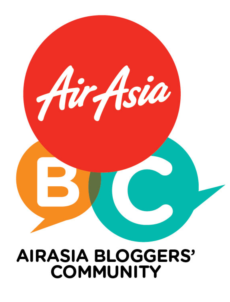 Tan combs through security footage for clues, while Hyo-shin works his connections and reports that Eun-sang wasn’t listed as leaving the country. Tan breathes a sigh of relief and calls Young-do right away to fill him in (cute), figuring two heads are better than one. It’s too bad those two heads are both at the bottom of the class, but I guess points for quantity. 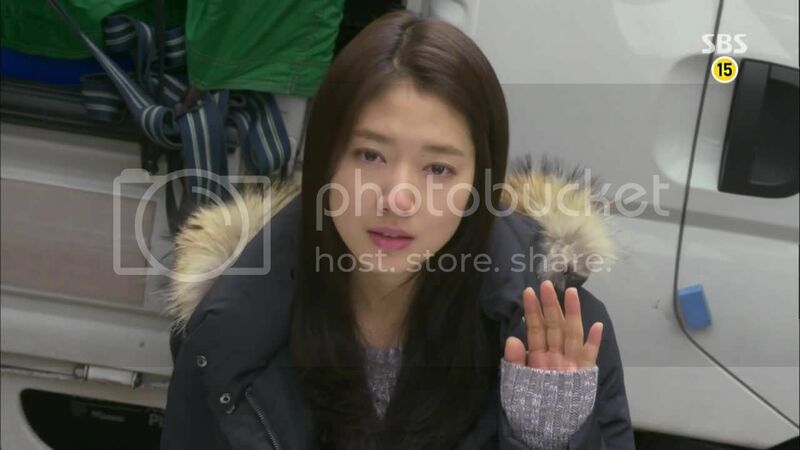 Footage from the front gate shows Eun-sang loading a moving truck, and then turning to the camera to send up a wave at Tan, knowing he’d be watching. Sweet, or disturbing? Always the question with this romance. 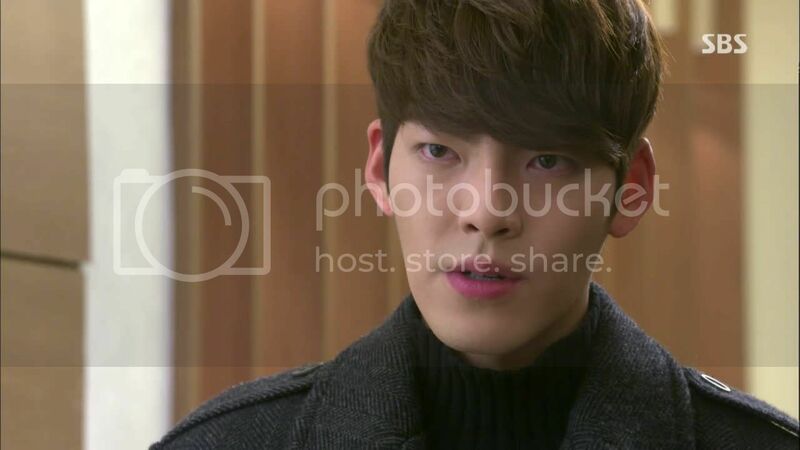 Young-do lights up to hear Eun-sang is still in the country, then hatches a plan: He logs onto his hotel’s homepage and posts a message under Eun-sang’s name. He manages a few compliments toward himself, but mostly it’s a complaint against him. I’m not quite sure what the plan entails, but he calls it “setting a trap” so I suppose he’s trying to draw a response. 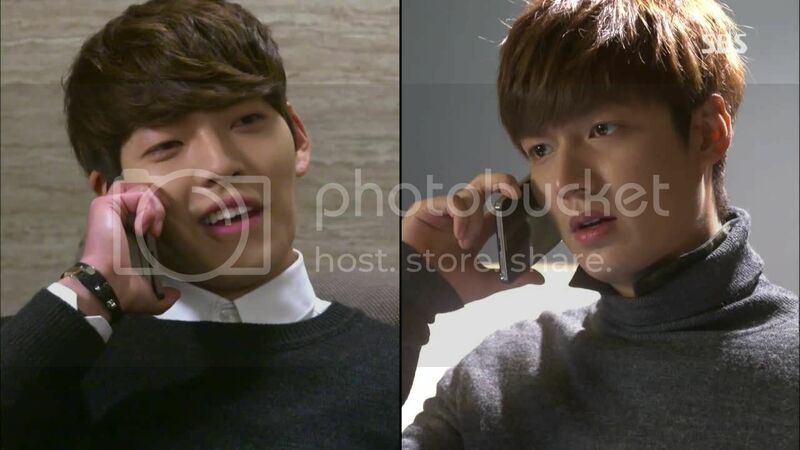 Tan calls Young-do from that phone, and I almost feel sorry for Young-do’s excitement at the incoming call from “Eun-sang.” He calls Tan’s plan smart but feels clever enough about his own… until he hears that his lawyer hasn’t been able to find any trace of Eun-sang. 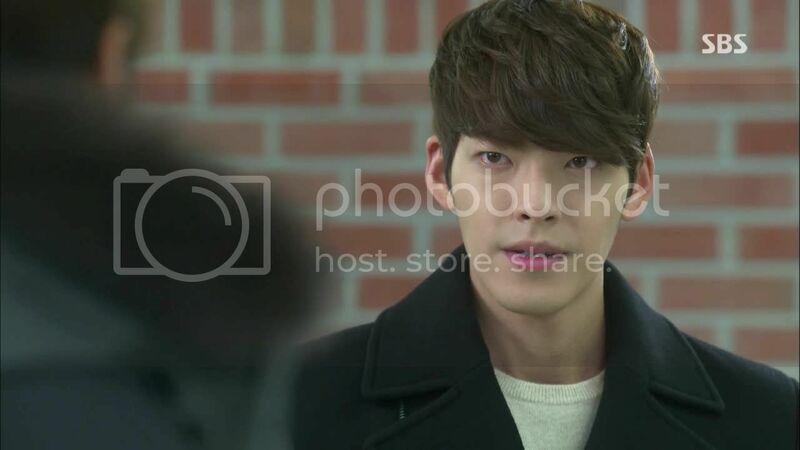 Tan gets a clue when Eun-sang’s number receives an automated text acknowledging a credit card purchase. So he starts calling every store with that name, trying to find a matching payment, which takes him all night—imagine trying to call every 7-Eleven in range. After a night of dead ends, he gets a match and bolts up to head over immediately. 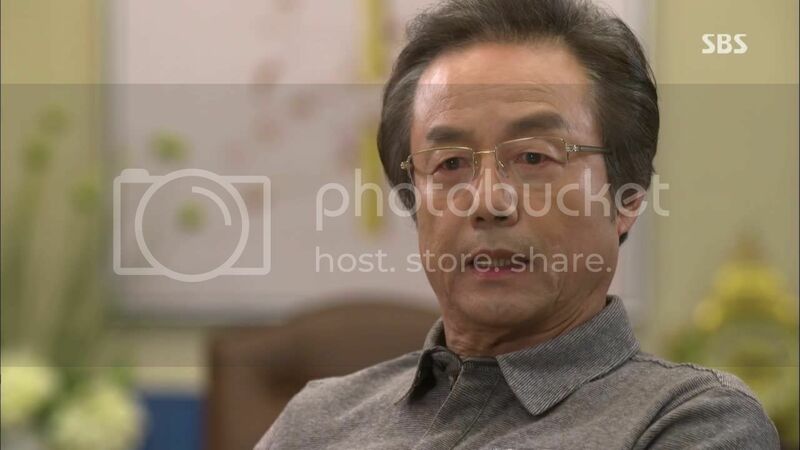 It’s only now that Chairman Dad hears that Eun-sang hadn’t left the country as planned, because Chan-young’s father had pulled a fast one on them. She was seen entering the departure gate, but VP Yoon must have made other arrangements, and now Chairman Dad receives the photo evidence that shows Eun-sang and Mom in some beachside town. Tan races to Eun-sang’s town, first spotting the familiar “I heart California” shirt hanging from a clothesline. 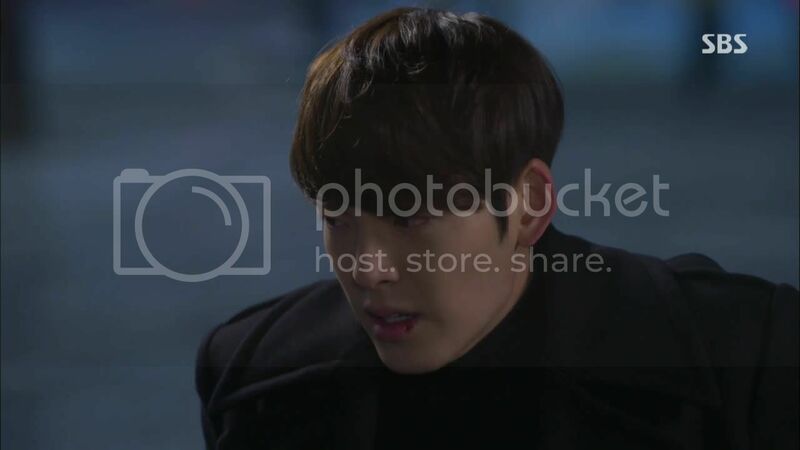 Then Eun-sang comes into view, and he reels with the force of both relief and… guilt, perhaps? 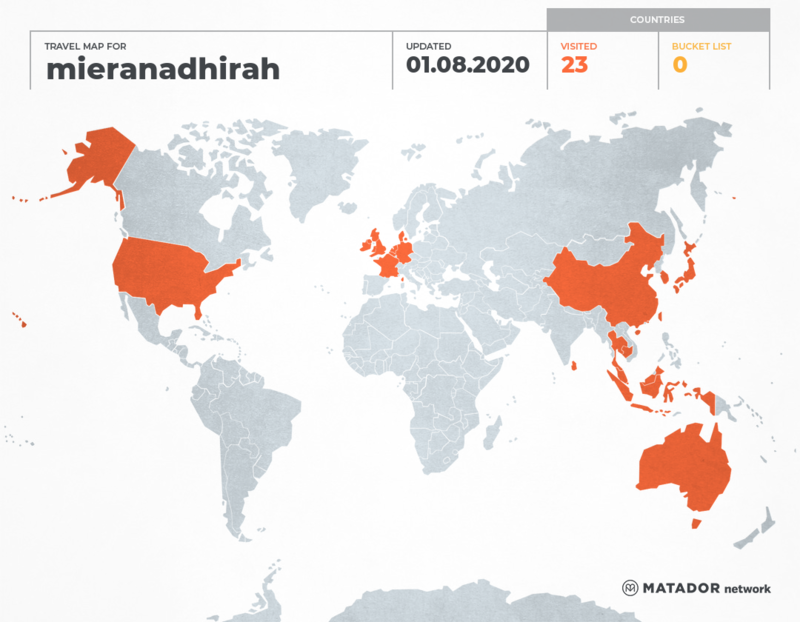 Dread, fear, recrimination? Anyway, point being: Emotions are mixed, and he can’t bring himself to approach. Thus while he follows Eun-sang to the beach where she sits alone, he keeps his distance. He takes one step toward her, but ultimately turns back. 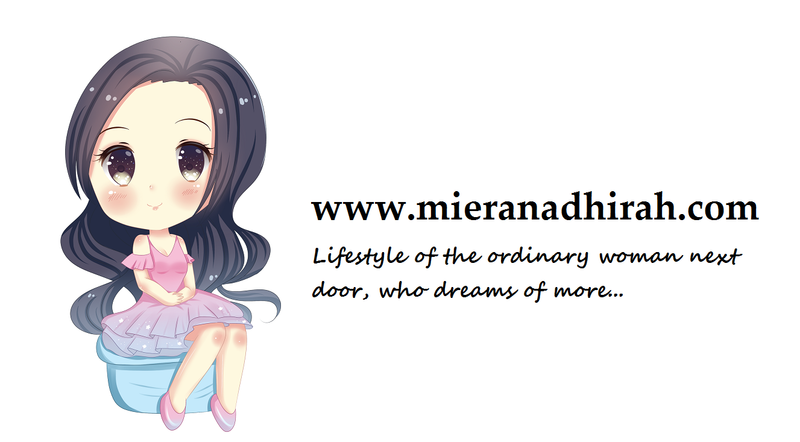 They take a walk on the beach, and Young-do keeps up a steady stream of chatter while she remains silent in her worry. 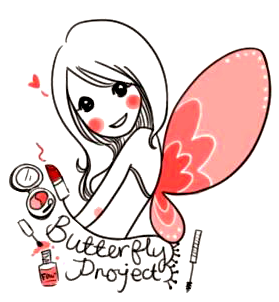 She confesses that seeing him frightened her, because it’s proof of how easy it was to track her down. He teases about running away together, but as she’s not in the mood for teasing he just asks her not to tell him to stay away, and promises to come back again. Young-do is clearly still a bit afraid of his father’s reaction, but nonetheless he orders Dad to stay out of it, because where women troubles are concerned, Dad has no right to interfere. Amazingly, his father concedes that point without rancor. He declares that Young-do is still incapable of defeating him head-on, but he will take this to mean that Young-do has learned how to negotiate deals. Young-do and Rachel find themselves dragged to another family dinner, and tonight Young-do’s father is in good spirits and toasts to the upcoming union. A phone call interrupts with bad news from Prosecutor Kim, and it’s obvious to all that it’s serious business despite Dad’s insistence that all is under control. But Rachel’s mother surprises everybody by stating her intent to call the wedding off. She takes Rachel out and says that the hotel family isn’t going to crumble over the investigation, but neither does she see the need to suffer along with them. Rachel actually sighs in relief, not for the broken engagement but because Young-do won’t be ruined. It’s not the reaction her mother expected, but Rachel calls him a partner in suffering throughout this whole mésalliance ordeal. Tan says this is Won’s chance to steal everything away from him, if only hyung can restore Eun-sang to her life from before. 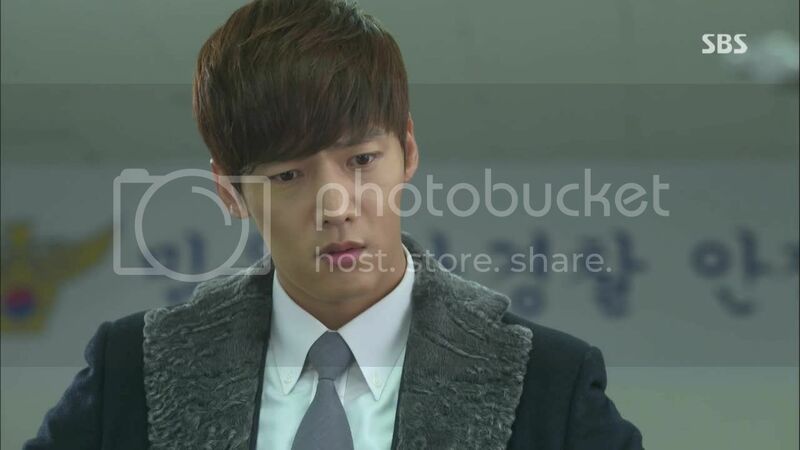 Tan intends to see her once more and then no more, so it’s with a sense of defeat that he returns to Eun-sang’s town. She sees him standing across the way and reacts with alarm, telling him to leave because if he continues to track her down, she’ll have to keep running away. Tan tells her that he’s sorry and promises to restore her life to how it was without him in it. She declines the offer, telling him that she’s fine here and doesn’t want to return. And when he asks whether he has been a source of trouble since the very start, she answers yes (since cruel lies are better for cutting off lingering ties). He leaves the umbrella in her hand and walks off into the rain, leaving her to break down into sobs behind him. Chairman Dad looks at him sharply. Is it too much to hope for a flicker of human sympathy there? Tan shakes off his mother’s concern and locks himself in his room. She grows increasingly panicked at the sounds of destruction behind his doors and begs him to let her in, but he just screams and destroys. 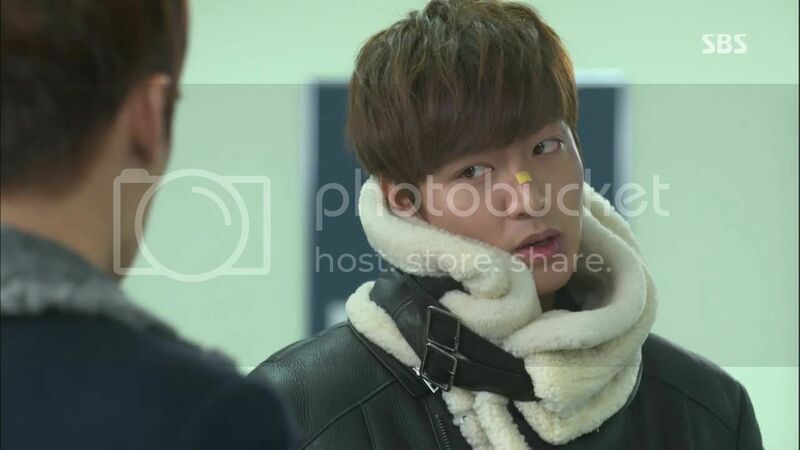 He makes it to school the next day but doesn’t last very long; he stalks out just as Hyun-joo arrives to start class. He ignores her flatly, so she calls in Hyo-shin to ask about Tan’s recent issues, saying merely that he’s “someone’s” kid brother. Hyo-shin picks up on that immediately and guesses that she dated Won, and feels stung to realize how trivial he must’ve seemed by comparison. Tan descends into a depressed funk—and worse, gradually escalating self-destructiveness. Won is called (away from a perfunctory date with the heiress his father is pushing him to marry) to the police station in response to Tan getting caught speeding without a driver’s license, and he chides that Tan is going about his rebellion in the wrong way. But Tan says he’s just living like his brother wants him to—because if he’s the reckless troublemaker, he can’t challenge Won’s place. The adults may be inclined to dismiss Tan’s acting out as an adolescent tantrum, but we know it’s more like a nihilistic bender. So Won is taken aback to realize how far gone his brother is, and tries to talk to their father, which is like trying to reason with a brick wall with spikes. Dad, for instance, sniffs that Tan should’ve toughened up before crumbling, seeing this as proof of his weakness. Won, however, sticks up for little bro and says that Dad doesn’t realize just how tough Tan was. He cites the eighteen years he spent ignoring Tan, and how Tan steadfastly kept coming to him anyway, stating his mind frankly. 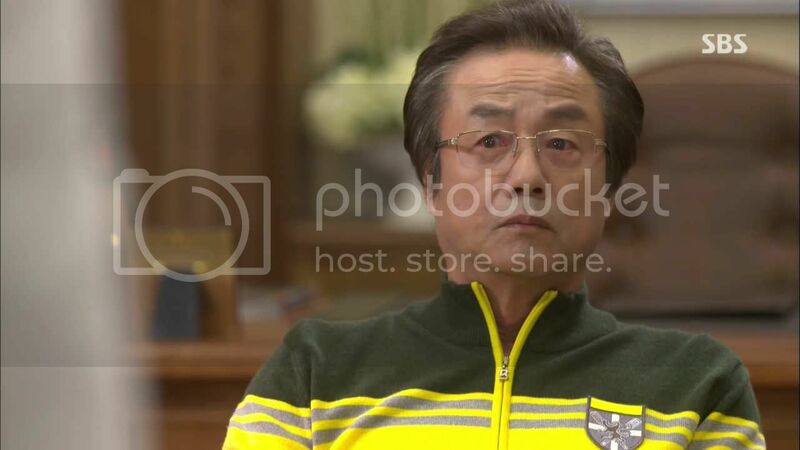 Won asks his father whether he doesn’t feel anything watching his son breaking down like this, and whether it wasn’t bad enough to have ruined Won’s relationship. I… think that presupposes a lot, like the chairman having emotions. 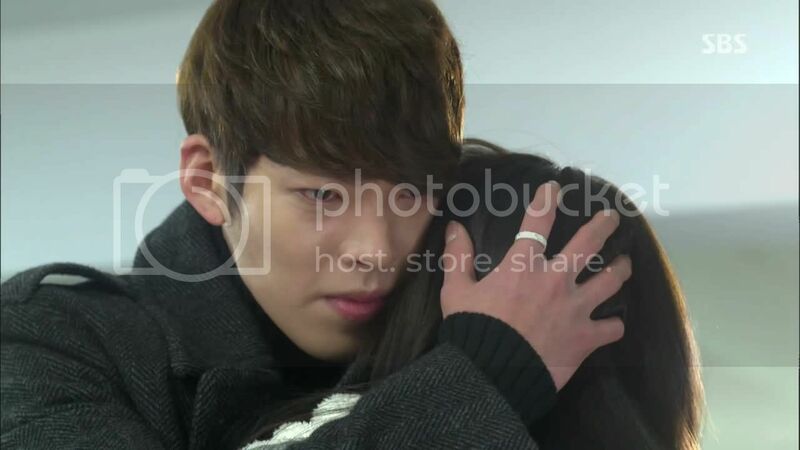 Rachel runs into Hyo-shin in the nurse’s office, and is just as discomfited this time as she was the last. He notes how flustered she is, which she denies, though she asks him to forget about “it” happening the other day. He agrees, but she’s still so uncomfortable that she yanks the curtains shut between them to avoid the awkwardness. 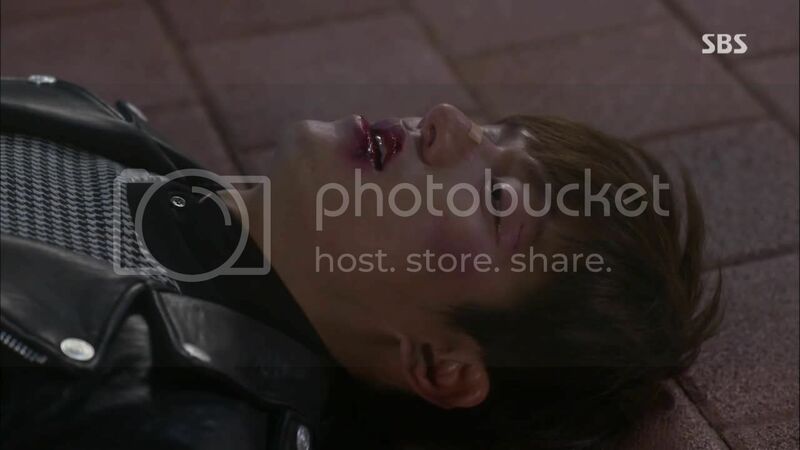 Tan’s behavior deteriorates even further with more fights, and at the Jeguk anniversary event, his battered appearance is the point of interest, drawing murmurs and speculation. Then late at night, Young-do walks by a nightclub entrance as Tan staggers out and gets into an altercation with a bystander. Pretty soon voices are raised and fists start swinging. Young-do steps in to drag Tan away, and Tan starts swinging at him instead. Young-do returns the blow, telling Tan to get his act together, and the boys exchange blows out there in the street. After going at it a bit, they fall down exhausted. 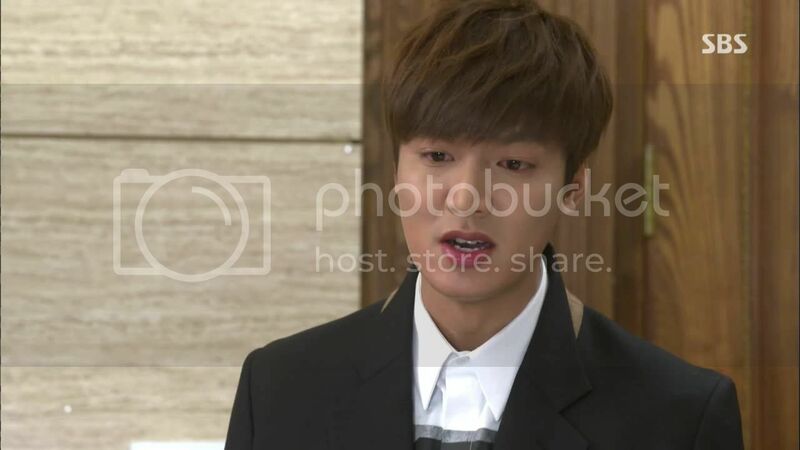 Young-do exclaims that if Tan wants to see Eun-sang so badly, he should just go see her already. To which Tan says that he won’t be seeing her anymore.